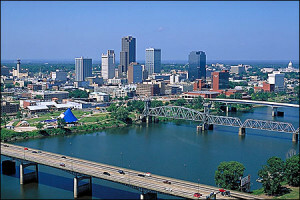 State Capital: Little Rock – Scroll Down To See Our Feature On Little Rock! Arkansas is one of our states with ample home grown and home made products. Small businesses seem to thrive here, from great BBQ joints to candy makers to wine and juice producers. We’ve visited Arkansas several times, tried most of the products listed below, and find interesting new items every time we visit! We encourage you to discover their unique Arkansas stories! 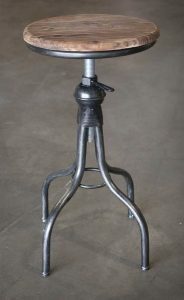 Be sure to stay connected to Glory and Grace – new products are continually added to their inventory. Also, they’re very close to introducing a line of Arkansas produced artisan blend sugars, salts, and peppers. When they’re ready to reach out to foodies, you can be assured we’ll be talking about it here on State Gifts USA! Bourbon and Boots is a one stop destination for Southern inspired gifts designed to delight anyone on your list who appreciates quality, craftsmanship, and understated class. Be prepared to be impressed! 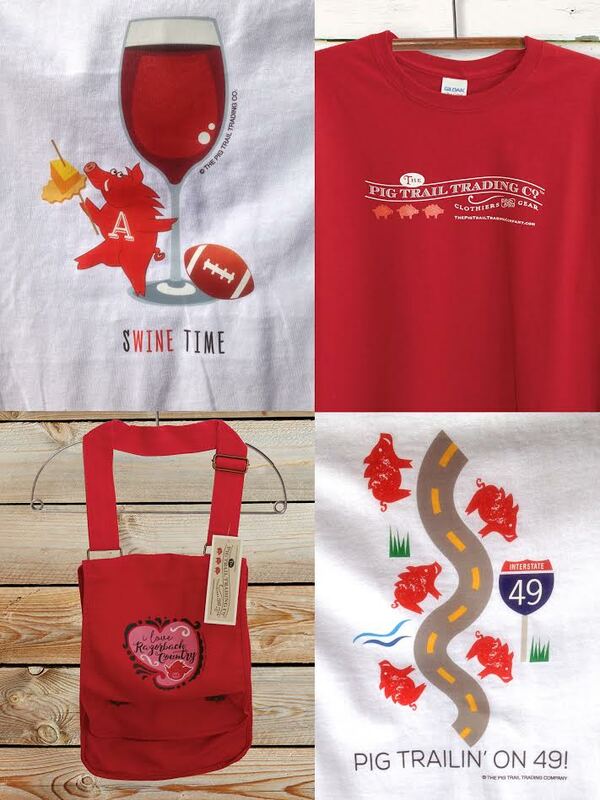 Pig Trail Trading Company: In Arkansas, it’s ALL about the Razorback fans. It’s what brings folks together as family and friends. Good food, good times … and the occasional hoot and holler! The good people of Arkansas love their team and love wearing the red and white. It’s good old-fashioned Arkansas fun. Join in and find the pig that best describes you on one of these handsomely designed t-shirts! The Pig Trail Trading Company has designs for every age. You can order them in just about any size, long or short-sleeved, men, missy, youth or toddler. Special request orders are gladly accepted! Check out the Pig Trail Trading Company Etsy Store for the complete selection. We’re proud to feature this fun small business on our Made in Arkansas page! Stone County Ironworks: Known as “America’s Blackwmith Shop”, this company is based in Mountain View, AR – about an hour north of Little Rock. 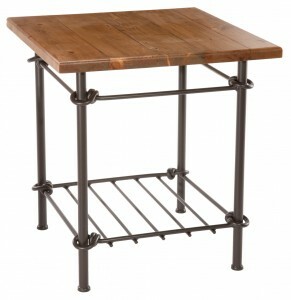 The handsome table shown is a great example of the work being done here. 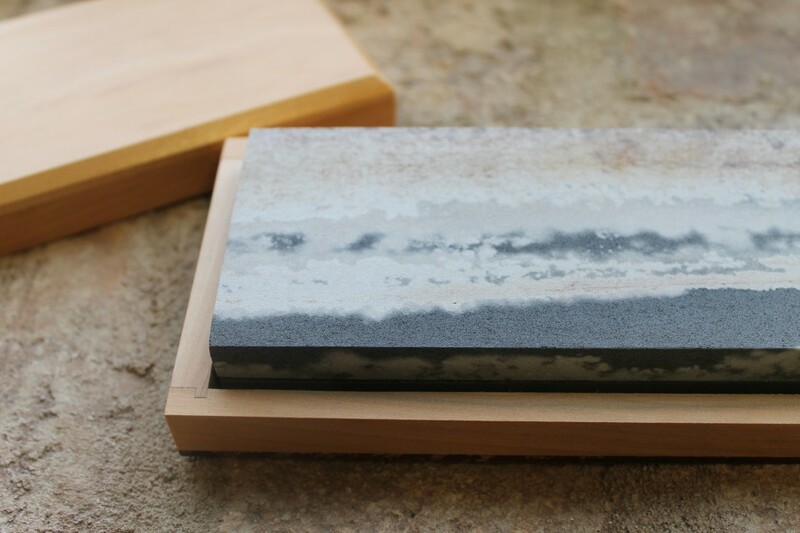 Click through to their website to learn more about this company and see their proud craftsmanship. Eat & Explore Arkansas: State themed cookbooks are a wonderful gift idea, and a company by the name of Great American Publishers is releasing a series of cookbooks focusing on each of the 50 states in the near future. 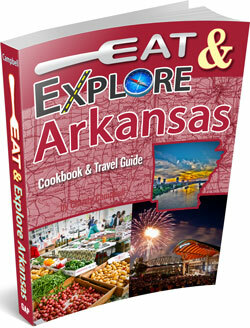 First in the series is Eat & Explore Arkansas Cookbook, a 256 page ode to The Natural State. An economical and useful gift for anyone on your list, you can buy a copy of Eat & Explore Arkansas at the Great American Publishers website, linked above. Enjoy the great tastes of The Natural State! Michele specializes in creating affordable, luxurious bath and body products for men and women. She handcrafts Bath Factory’s products on site in her soap studio, using natural ingredients like fruit oils, herbs, botanicals, and more. 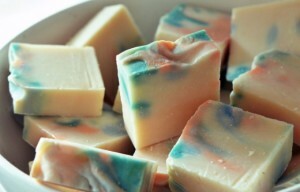 The selection of soap colors and fragrances is something to behold! 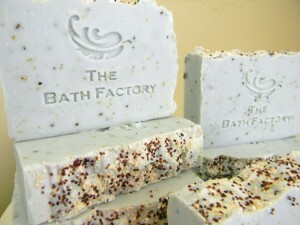 In addition to artisan soap, bath scrubs, salts, facial & skin care items, and more bath essentials are available. There’s even a Pet Care section featuring liquid and bar doggie shampoos designed to keep bugs away and give your pooch a soft, rich coat. 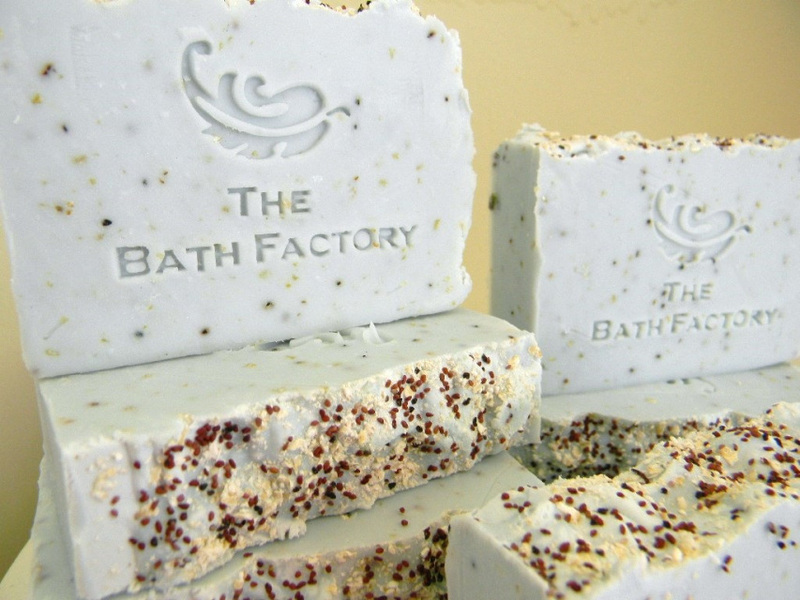 Put Hot Springs on your list of places to visit, and in the meantime, click through to The Bath Factory’s website to see their entire selection and to order. A great gift idea! For Arkansas fans, take a look at the Razorback earrings shown … little brass hogs dangle from 3 inch long earrings made with antique gold plated ear wires. Perfect for game day! Brandy also makes Native State Necklaces (for all 50 states), beautiful mason jar necklaces with a small brass charm shaped like a mason jar (very southern! 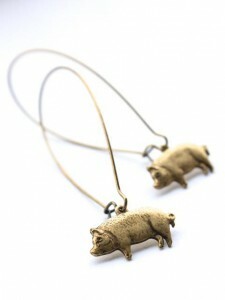 ), marathon necklaces, and all sorts of other really unique jewelry that’ll dress up any outfit! All her current creations are available at the Bella Vita Jewels Etsy shop where you’ll see beautiful photos of her artistry and ideas for Arkansas themed jewelry gifts. Approachable, stylish, and fun! 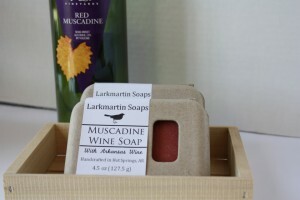 If you can’t visit Hot Springs in the near future, Larkmartin Soaps is the next best thing! Using soy wax created from soybeans, Southern Soy Scents is owned by Crystal and Stan Warner. The candles are clean burning with virtually no soot and infused with fragrances through the entire candle – you’ll get the same great scent from top to bottom! 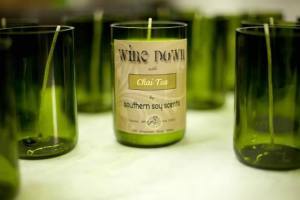 These candles are great gifts for someone who appreciates a small business Arkansas made product! 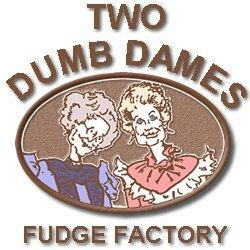 See their site to view all the different candles and scents available. They’ll ship directly to your door! 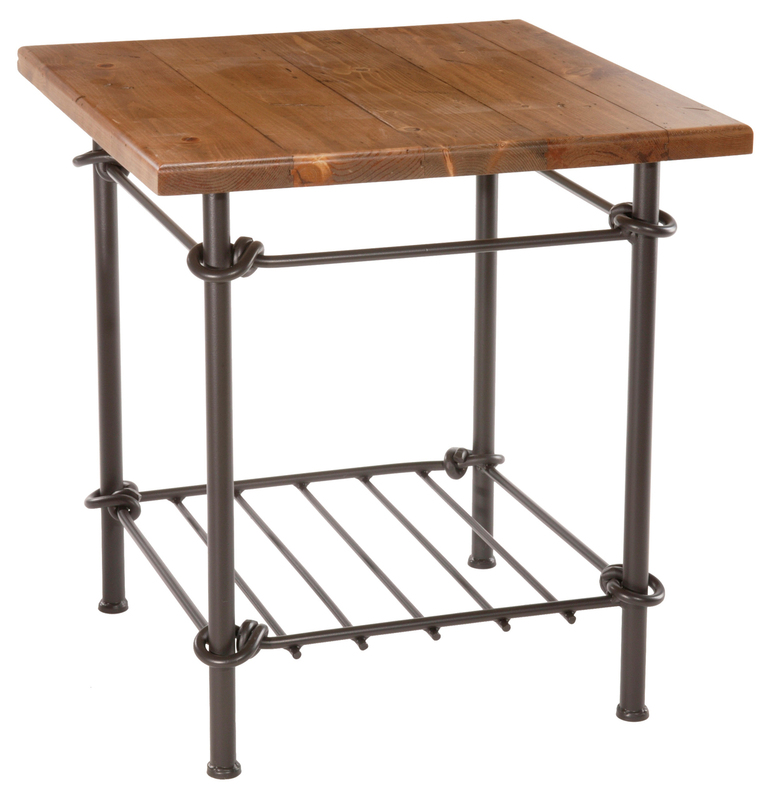 One compelling segment of the Robinson Lane Designs product line is the State Collection. Christy, whose art has been exhibited in the Arkansas Capital Building (see our Little Rock feature at the bottom of this page), creates state shaped necklaces like the ones shown. They’re crafted in either brass or nickel and you have your choice of chain length and type. 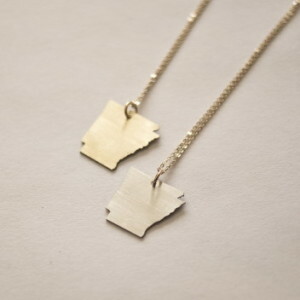 You can also have these stylish necklaces personalized with a heart or the words “Born and Raised” or “Home”. What a great state themed gift item! Bathhouse Soapery and Caldarium is much more than just soap, though. Just a small portion of their home made product line includes foaming body scrubs, balms and salves, home fragrances, milk daily facials, perfume oils, and more. Arkansas Life Magazine: Most of the 50 states feature a statewide magazine with features about the state’s lifestyle, shopping, dining, and special destinations. 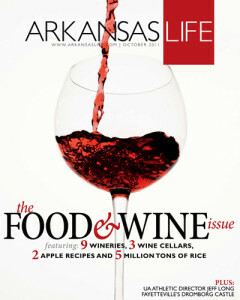 You can give Arkansas Life as a gift subscription and have it sent directly to the recipient’s door step. Each issue features news, events, wellness topics, dining destinations, and much more. There’s a digital edition as well! 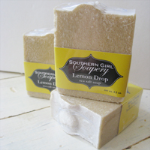 Southern Girl Soapery: Here’s another small company we learned about on our recent visit to Little Rock … it’s Southern Girl Soapery, who creates handmade soap inspired by Southern scents and traditions. 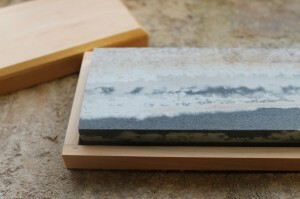 Gift sets are also available … a nice Little Rock themed gift for someone special! HeMan creates tools and practical items with lifetime guarantees … they’re confident you’ll hand these tools down to your heirs. These are tools any “he man” or woman, or a young person just getting started with handling tools will appreciate and treasure. You can buy anything from pruning knives to shears to ultra sturdy battery cables! The company also makes handsome and practical home accessories, like wall mounts, fireplace tools, mirror frames, and a lot more. 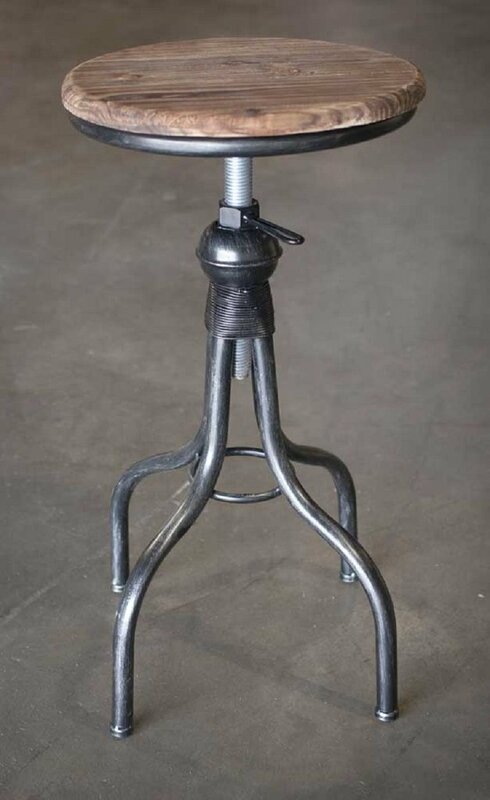 Take a look at the HeMan Tools website and see all the interesting things they create … a great Arkansas gift! 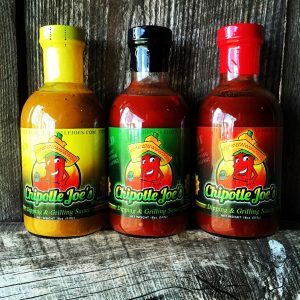 Chipotle Joe’s Dipping & Grilling Sauces: Based just east of Little Rock, this small business is a testimony to the American way … if you can’t find a product you really like, make a better one! The product line is known as Chipotle Joe’s Dipping & Grilling Sauces, made with all natural ingredients (Bobby grows his own chipotle peppers). This is the real deal – no corn syrup or stuff you can’t pronounce. The three varieties are Mild, Hot, and Hot Mustard. If you barbecue, you know what to do with them … baste onto grilled meats, use them as marinades, or just dip your masterpieces into any of the sauces for a real southern taste treat! Click through to the Chipotle Joe’s website to learn more. If you’re from The Natural State, there’s a list of retail locations where you can find the products. If not, order online directly through their store, and you can have these sauces shipped right to your door. Good stuff from Arkansas! If you’re traveling in southern Arkansas, pay them a visit, but in the meantime stop by their website and order some sauce … you’ll see what we’re raving about! 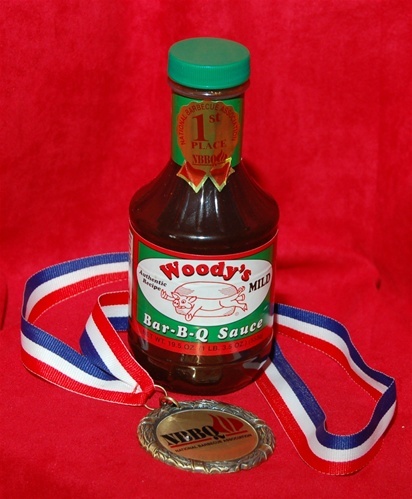 Woody’s is also well known for their barbecue sauces, and if you can’t make it to Waldenburg, there’s good news as you can order it online from the Woody’s Bar-B-Q online store. They make two varieties – Original and Hickory, both available in hot or mild. We prefer the Original as it’s the perfect balance between tangy and just a touch of sweetness. Woody’s also offers their Original Marinade & Baste and several seasonings, including their Dry Rub & Seasoning. You can order in various combination packs and sauce sizes up to a gallon. 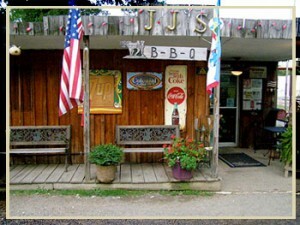 Whole Hog BBQ: We love great barbecue and seek it out every time we’re on the road. While perhaps not as renowned as some of the nation’s barbecue capitals, Arkansas is a BBQ hot spot unto itself. But describe it however you’d like, because regardless, it’s 100% delicious. Whole Hog Cafe is well known for their six different bbq sauces, ranging from mild to volcano. You can order any of these sauces by mail order from their website, or better yet, a pack of all six in a handy gift tote! What a great gift from Arkansas for anyone who appreciates the art of fine barbecue! Hot Springs itself is an interesting town with a lot of history, in addition to their renowned hot water springs that gave the town its name. Most of the old bath houses are closed, but there are numerous spa services, good restaurants, historical sites, and plenty of nightlife. 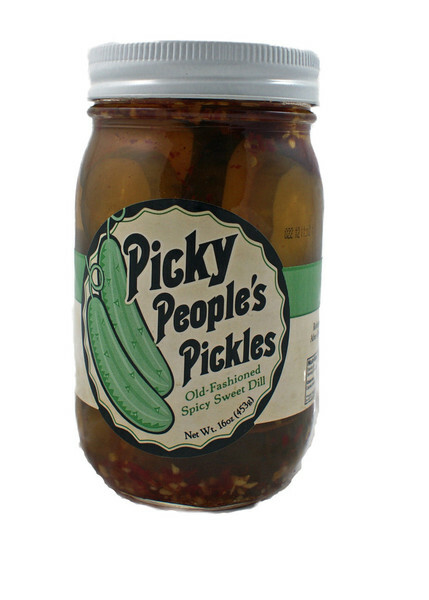 The company is called Picky People’s Pickles and although we don’t know that only picky people will enjoy them, they sure are good! What makes them special is they’re dill pickles which are a little bit spicy and a little bit sweet – the best combination! Enjoy the taste of The Natural State! The Natural State is flush with dairy farms – it’s common to see cows and goats grazing on the lush pastures of the Arkansas landscape. 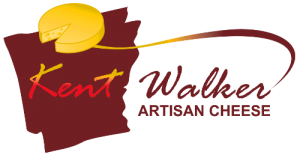 It stands to reason that artisan cheese makers are springing up across the state, and one example is Kent Walker Artisan Cheese. When you visit Little Rock, which we hope you do, you can visit their tasting room retail operation, take a tour, and even see cheese being made. 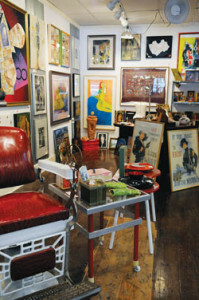 Located right downtown on Cross Street, the combination retail outlet and production facility is a magnet for visitors. You can enjoy a glass of local beer or wine along with a cheese sampler platter, and if you happen to visit on a production day, fresh cheese curds are available for sampling! At their website, you can see the different varieties they produce, both in year around and specialty offerings. There’s also a link to their online partner store where you can buy some for yourself or as a gift. Locally made cheese is a perfect holiday gift – one which shows you’ve a fan of supporting small local businesses. Choose from Habanero Cheddar, Goat Feta & Gouda, Garlic Montasio, and an English style (but Arkansas Made) cheddar like cheese called Leicester. Now, the company makes nine different varieties of salsa and their own corn tortilla chips to go with them! Varieties range from Mild, Medium, and Hot to specialties like Peach Tomatillo, Cranberry Orange, and Cucumber Tomato. These traditional and creative flavors make a great Made in Arkansas gift! 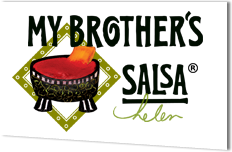 You can order My Brother’s Salsa directly at their website in custom packs in quantities of three to twelve jars, as well as salsa gift packs which include their home made chips. Enjoy! 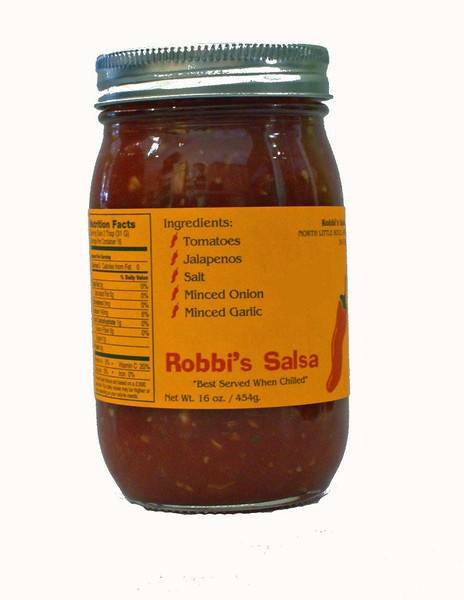 Robbi’s Salsa: We had an absolute blast the last time we visited Arkansas … we drove down and on the way back the car was packed with locally made products we picked up in The Natural State. One product in particular was Robbi’s Salsa, which we unfortunately we didn’t try until we arrived back home. Unfortunate in the sense we only bought one jar! It’s made in North Little Rock and although the ingredients aren’t anything unusual (tomatoes, jalapenos, salt, minced onions & garlic), however they put it all together is really something special. Quite possibly the best salsa we’ve eaten out of a jar! Give it a try – this stuff is so good we even spooned some atop a pizza and baked it in – fantastic! Della Rice: Della Rice is the brand name for rice products developed and packaged by the Specialty Rice, Inc. company of Brinkley, AR. The east central Delta area of Arkansas is renowned as one of the best places in the world to grow rice due to the rich soil and ideal weather conditions, and Della Rice is packaged in standard white rice and numerous other varieties you might not be aware of. 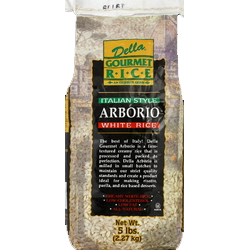 You can purchase any of the Della Rice products directly at their website. And remember, the best rice is grown in Arkansas! Enjoy! 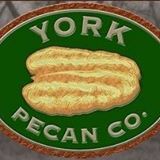 York Pecan Company has been around since the 1950’s and ships their pecans all over the country. At their online store, you can buy mammoth halves, roasted halves, and chopped pecans in quantities up to 30 pounds. Fresh and very good for you, pecans are always a welcome gift! It’s their Firecracker Saltine Cracker Seasoning, pictured. Saltines are one of our favorite snacks but truth be told, they can be a little ho-hum after a while. 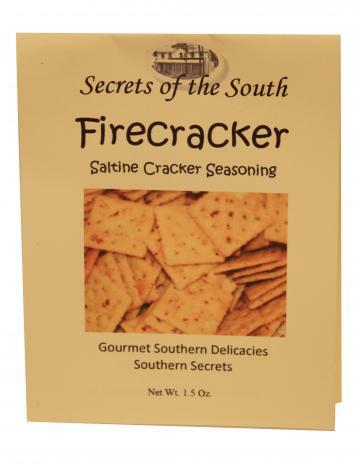 Secrets of the South Firecracker Seasoning is specifically designed to perk up Saltines, giving them a pleasant, mildly spicy blast of flavor without being too salty. In fact, it’s one of the more unique seasonings we’ve seen because we’ve never heard or thought of seasoning a Saltine cracker! 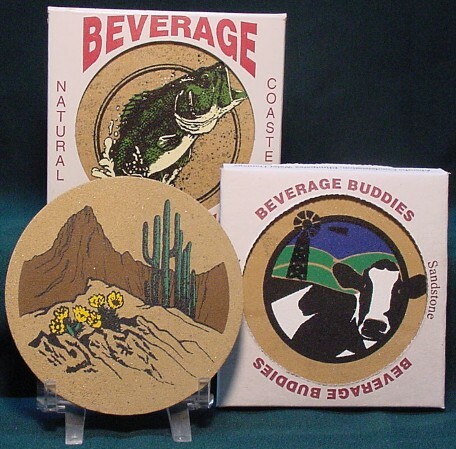 Of course, the company produces a wide range of other products as well, many of which can be used to create party dips or appetizer spreads. 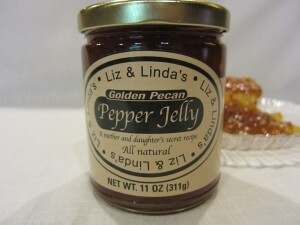 Check out their line of pepper jellies too! Visit their website to view the entire Secrets of the South product line. Made in Arkansas! Bryant Preserving Company: Did you know Arkansas is one of the nation’s leading watermelon producing states? It’s true, and watermelon from Arkansas is prized due to its especially rich, juicy, delicious flavor. Some say it’s the limestone in the soil that helps create the taste difference, but whatever it is, next time you’re in The Natural State, try one of their locally grown watermelons! We found a couple of unique watermelon products from the Bryant Preserving Company of Alma, AR. The first is jarred pickled watermelon rind, pictured. Eat it right out of the jar or wrap it in bacon as an appetizer. The second product is their Watermelon Rind Barbecue Sauce, a robust sauce augmented with the sweet taste of watermelon rind. Try it on grilled pork – it is fantastic! Bryant Preserving Company also produces several other interesting pickled products. You can order by the jar or by the case directly at their website. A truly “Arkansas” gift! On a related note, did you know Arkansas is one of the nation’s leading rice producing states? Given this fact, the Arkansas Rice Depot has an online store with some great local products, many of which are rice related. There are gift packages, unique rice blends, and more. All proceeds from gift shop sales help feed hungry kids, families, and senior citizens. Take a look! 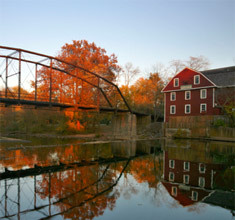 The Mill offers tours, a country store, and an on site restaurant featuring many of their own products. Burge’s Smoked Turkeys: This place was highly recommended to us during our visit to Little Rock … and are we glad we stopped! We enjoyed lunch in their storefront, but the real star is Burge’s Smoked Turkeys They’re unlike any turkey you’ve ever tried … and they ship all across the country. Liz and Linda’s Pepper Jelly: We brought a few jars of this family run company’s jelly products as a thank you gift to some friends and they raved about it … we wish we’d saved a jar for ourselves! 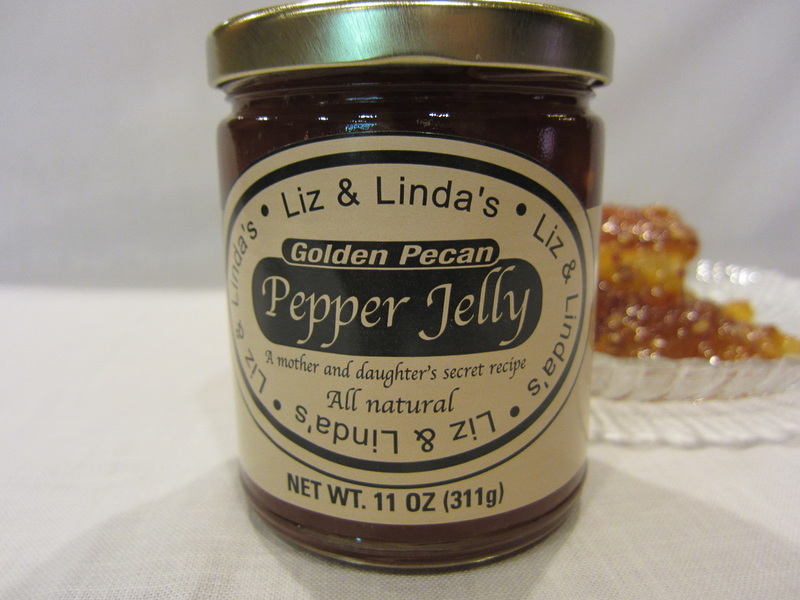 The company makes several different jellies, but Liz and Linda’s Golden Pecan Pepper Jelly has won several awards at national food shows. It’s made with yellow bell peppers and pecans and sounds perfect for crackers! The largest winery in this area, and in Arkansas, is Post Familie, in the small charming town of Altus. Their online store offers gifts of wine related items, juice, and preserves direct from Arkansas wine country. The area is nestled in the mountainous part of Arkansas … the scenery along the way is beautiful and there are several wineries to visit in the immediate area. it’s a perfect overnight trip from Little Rock, and just 45 minutes from Fort Smith on the Arkansas-Texas border. Petit Jean meats are served all over the state, and you can order some for yourself or as a gift too! Fudge is available in over two dozen flavors, including such delectable varieties as Banana Cream Pie, Dark Chocolate Raspberries & Cream, Peanut Butter, and Chocolate Caramel Pecan. Seasonal specialties and gift boxes are also available. Click through to their site and see the “Online Store” tab for everything you can order online if your travels aren’t taking you to Eureka Springs. If you’re in town, be sure to pop in! 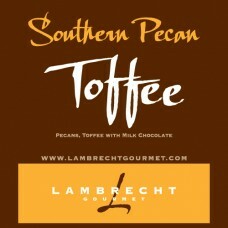 We discovered Lambrecht Gourmet Toffee on our recent trip to Little Rock and tried the specialty Southern Pecan variety. It’s bursting with nuts, buttery crunchy toffee, and rich chocolate. It’s one of dozens of flavors they create, including white and dark chocolate toffees featuring macadamia nuts, hazelnuts, almonds, and more! You can find Lambrecht’s in a few gift shops in Little Rock as well as an expanding range of locations in Arkansas, Texas, and farther afield. Of course, they’re also available at their online store in small bags, gift tins, and gift boxes. The Crispery Crispycakes: Another really cool company we discovered on our recent visit to Little Rock is The Crispery. 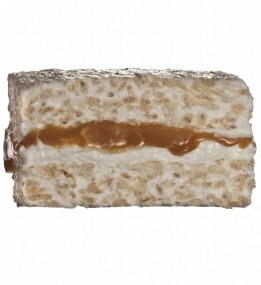 They make delectable marshmallow and crispy rice treats in numerous flavors (think Rice Crispy Treats but way better!). You can order Crispycakes online at their website, and they also offer special occasion and sampler gift boxes so you can try all the flavors! They make great gifts too … tell someone how sweet they are, Arkansas style! The company is owned and operated by Ray and Kathy Sisco. 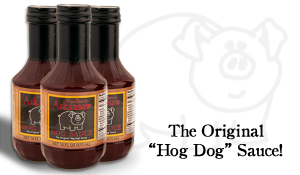 Ray has always been called “Popa” by his grandchildren and when it came time to name his signature sauce, Popa Sisco’s Arkansaw Hog Sauce was a natural choice! You’ll find some really interesting recipes at their website, where you can also purchase the Hog Sauce in 16 ounce bottles, gallons, and cases. We like the “Original Hog Dog” recipe, calling for pulled pork, hot dog buns, coleslaw, and Hog Sauce. There’s a good one for Barbecue Chicken Pizza too! Check them out at ArkansawHogSauce.com and place your order for a real taste of The Natural State! Caterwaul Chili: Are you a fan of a great bowl of chili? We sure are, and we love trying different regional recipes, chili mixes, and spices. 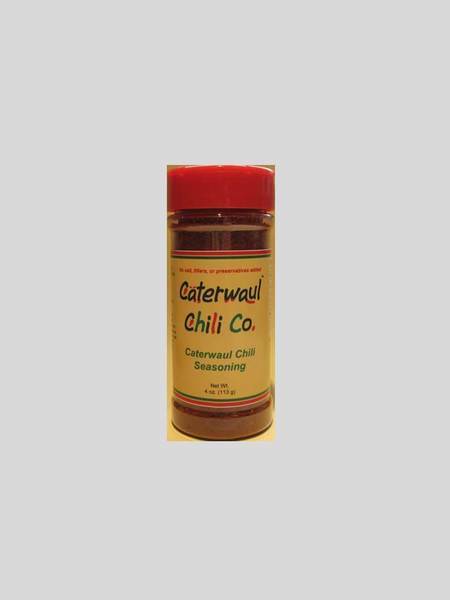 In Little Rock, there’s a small company called Caterwaul Chili making a fantastic spice mix that’ll liven up your next batch! Use if for soups, stews, pork chop seasoning, and of course as your go to chili powder. Special recipes are available at their website. 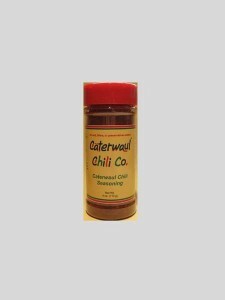 It’s available in retail stores in The Natural State (there’s a list on their site) and you can buy it online from the Caterwaul Chili online store. Ideal as part of an Arkansas themed gift … let’s face it, who doesn’t like a good batch of chili?? 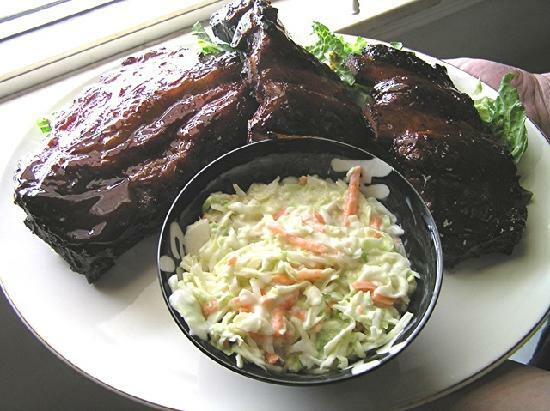 It didn’t look like the typical molasses and brown sugar type of bbq sauce – and it isn’t. It’s made by a retired 30 year Army veteran named Robert Rolf, who hails from Conway. 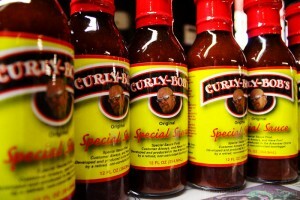 After he started sporting the shaved head look which adorns the labels of his sauce, a bartender dubbed him Curly Bob and the name stuck! 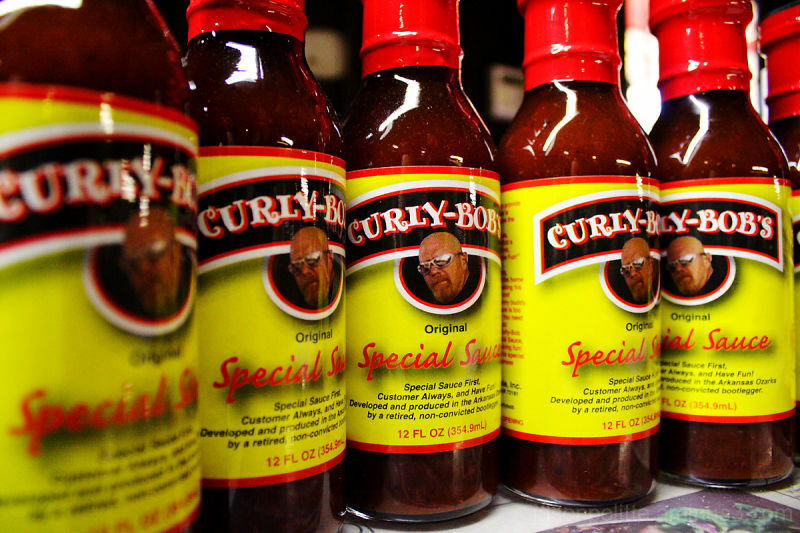 He started making his own sauce in the garage of his home, giving it away to friends. Persuaded to market it, Bob has done just that – it’s now in over 200 locations. Not quite a barbecue sauce, it’s got a spicy kick although it’s not hot. You can use it on just about anything, from meat off the grill to roasted vegetables or as a dipping sauce for french fries and sandwiches. It’s really good! After looking around a bit, we found it for sale online from a wonderful shop we’ve been to in Eureka called Gourmet Eureka. Look on their site in the Marinades, Sauces, & Dips category and you’ll see it right there! Buy two bottles at least … you’ll love it! 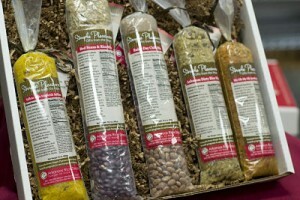 Townsend recently opened a retail and online store where you can purchase some of their legendary spice mixes and rubs. 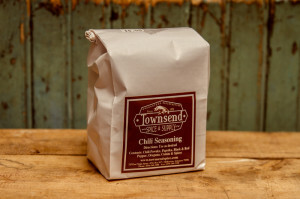 One of our favorites is their Chili Seasoning which we discovered on our recent visit to the area. We’ve been known to make up a mean batch of chili ourselves, but this spice mix is just about as good as it gets. There’s a little heat, but not too much to overwhelm … just the way we like it! 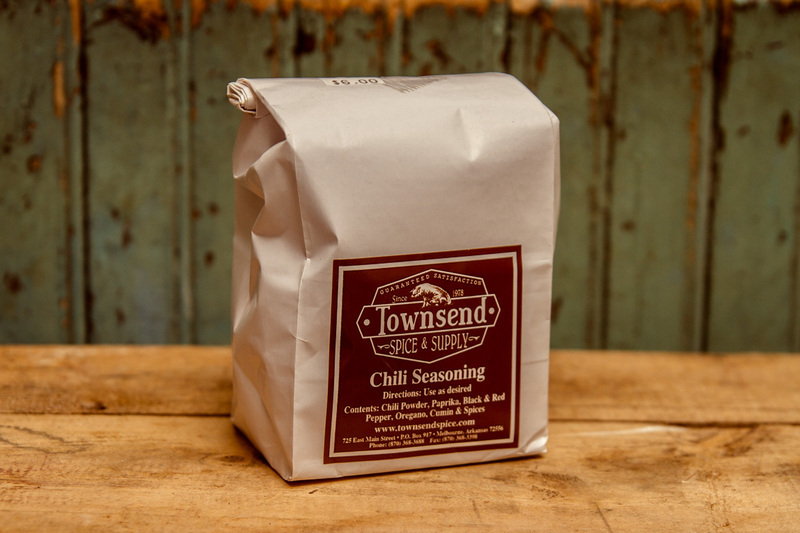 Rib rubs, Chipotle seasoning, steak rub, and even a spaghetti & pizza seasoning are just a few of the retail products you’ll find at the Townsend Spice & Supply online store. If you enjoy making your own sausage or jerky, they’ve got you covered too! Gift boxes and baskets are also available – a great idea for the backyard griller in your life! Visit their website to help you fire up the grill! 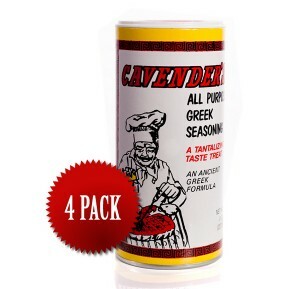 Cavender’s All Purpose Greek Seasoning: Cavender’s All Purpose Greek Seasoning is an Arkansas tradition. It’s been made in the northwest part of the state since 1970, and prides itself on the secret blend of 13 spices in the original seasoning … “no other spices needed!”. You can Cavender’s Seasoning online in the original or salt free version … check out their site for some tasty recipes too! Monk Sauce: One of the more interesting products we encountered on a recent trip to the Natural State is a product called Monk Sauce. It’s made by Benedictine monks who live at the Subiaco Abbey in Subiaco, AR. On a mission to South America, one of the monks learned about growing habanero peppers and creating hot sauce from the ripened peppers. He brought back seeds from the South American pepper plants and they now grow in abundance in the Abbey’s garden plots. You can order Monk Sauce online, along with a unique brittle also made by the monks … what a unique gift from Arkansas! The sauce is made in Russellville and it’s perfect to spice up any kind of rice dish. In fact, white rice with a few sauteed bell peppers and some River Valley Pepper Sauce drizzled in makes a satisfying and healthy meal! The sauce itself is tangy with a hot bite, but not so hot that it leaves your mouth smoldering. Pour it into stews or pot roast, you’ll love it! 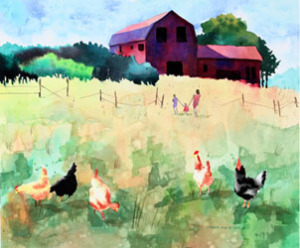 “Country Life” Print By Edward Wade, Jr.
At the Ed Wade Studios website, you’ll find two online galleries where you’ll see (and can purchase) a representation of his works. Bold, vibrant colors are a trademark of his art – whether it’s a simple street scene or a pastoral scene depicted in his painting “Country Life” shown in the picture. Miller’s Mud Mill creates functional pottery which can also be displayed as art pieces … the pottery ranges from dinner sets to vases to bowls, trays, and jugs. 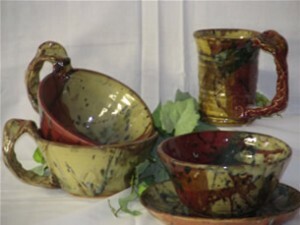 Any of the available pottery pieces can be shipped … a great hand made Arkansas gift! If you’re looking for Arkansas art, Poor Richard’s is an excellent one stop destination! 5). Arkansas has the only active diamond mine in the United States. 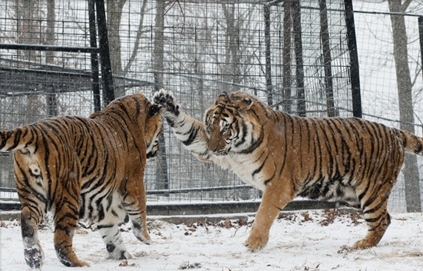 It is open to the public, and if you find ’em, you get to keep ’em! Tell us about your favorite Arkansas made products … comment via our Contact Us page! We’ve always had an interest in history, and a passion for traveling. Whenever we visit a state, we always try to make time to visit the capital city. While it’s fun for us to see the various capital buildings and gain greater insight into each of the 50 states, the fact of the matter is that most state capital cities are vibrant, interesting places. Because of the volume of visitors these cities receive, you can bet there are always great restaurants, interesting small businesses, shopping, and attractions. Granted, some of the capitals are bigger, like Boston or Atlanta or Phoenix, and they’re destinations on their own. Others, like Montgomery, AL or Pierre, SD or even Little Rock aren’t prominent tourist destinations per se, but as you’ll see as we progress through all 50 state capitals, they are well worth a visit and offer some pleasant surprises! We visited Little Rock as part of a one week vacation that took us through St. Louis, Ste. Genevieve, and Cape Girardeau in Missouri. We spent three nights in Little Rock, fitting in a day trip to Hot Springs, and then spent a few days in Memphis. What a wonderful trip – one we’ll always remember fondly! We asked a few locals to recommend a casual tavern serving good bar food in the city … burgers, etc. along with a cold beer. Normally, we sniff these types of places out on our own, but we wanted some other opinions. 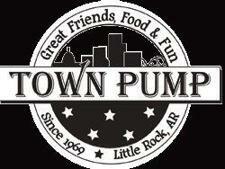 Two locals recommended we stop in at a place called The Town Pump, about ten minutes from downtown off Cantrell Road. The Town Pump is kind of a roadhouse looking place, nothing fancy to say the least. One might call it a dive bar. There were plenty of cars and trucks in the parking lot just past lunch time and we pulled in. Somewhat surprised, she smiled and said, “You’re the first people I ever heard say that. NO one comes here just to see the city!”. She asked where we’d been, what we’d done, and where we planned to visit. We told her about seeing the River Market, Clinton Presidential Center, the Hillcrest and The Heights neighborhoods, walking the pedestrian bridge across the Arkansas River, and more. We hope she ended up exploring more of her city. 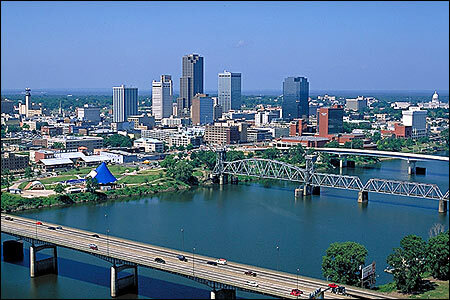 And we hope you get a chance to visit Little Rock, one of the friendliest small cities in the south! Little Rock isn’t a huge city, at least in comparison to bigger U.S. cities like Dallas, Chicago, etc. The population is just a bit over 180,000 and it’s fairly easy to get around here even though Little Rock is a river town and part of it is built on bluffs, meaning plenty of curvy and angular streets. The city is centrally located in the center of Arkansas, about two hours via Interstate 40 from Memphis. 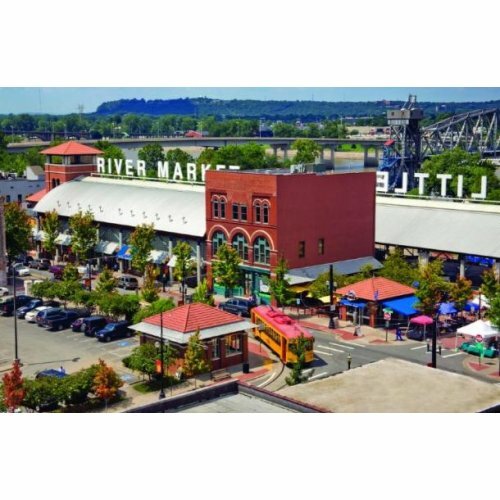 Most travelers enter the city via I-40, and from the bridge crossing the Arkansas River you’ll see two of Little Rock’s prime attractions – The River Market and the Clinton Presidential Center. Little Rock’s River Market area was a downtown renewal project intended to get people back downtown. It’s a colorful, lively scene from morning to late at night. In the market itself, there are dozens of vendors offering a variety of goods and services, everything from breakfast to doing your banking. Just a few short blocks away, accessible by trolley or a pleasant walk, is the Clinton Presidential Center. Consisting of the former president’s library and expansive museum, a visit is well worth a few hours whether former President Clinton was a favorite of yours or not. We mentioned before that Little Rock is partially built on bluffs rising from the Arkansas River. Atop these bluffs is where you’ll find two of the city’s most appealing neighborhoods – Hillcrest and The Heights. Mostly residential in nature, each offers a several block long commercial strip with specialty stores, restaurants, and other services tucked along side streets. Hillcrest is only a five to ten minute jaunt from downtown, and The Heights are practically adjacent, perhaps another five minutes. It’s in these two neighborhoods where you’ll really get a feel for Little Rock and its people – and you’ll for sure want to shop and dine in each! Depending how intently you like to shop, you should plan for a couple hours in each area. If you’re not a shopper (like me), no worries! 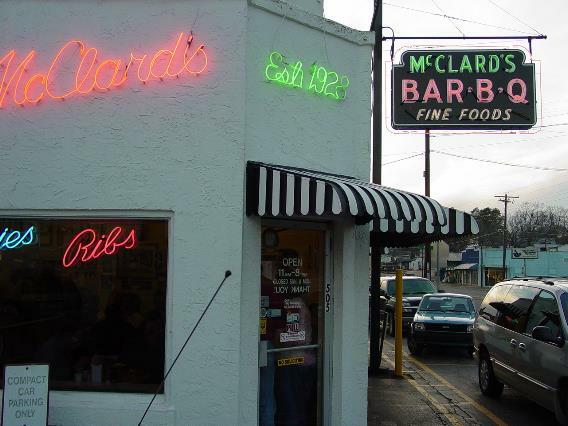 There are plenty of inviting places to drop in for a cold one or a quick appetizer. Both areas are lush with parks and historic architecture, with some of Little Rock’s most beautiful homes located in each. Great for a late morning stroll before lunch! 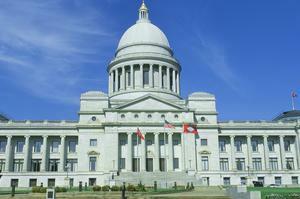 Another attraction you won’t miss, at least visually, is the Arkansas Capitol Building. Visible from just about anywhere in the city, it’s modeled after the U.S. Capitol and we learned it has been used as a stand in location in several movies. The building was completed in 1915 and you can take a free guided tour weekdays from 9 a.m. to 3 p.m. The architecture is stunning and the Capitol Gift Shop is a great place to pick up souvenirs. 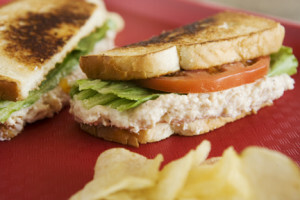 If your tour coincides with the lunch hour, stop at the lower level Capitol Cafe for a quick bite. It’s open until after the lunch hour on weekdays, and who knows, you may run into the Arkansas governor! There’s no shortage of good food in Little Rock, and on our visit we stopped at restaurants in different parts of the city to get a flavor for the area. The city is very easy to navigate – just about anywhere you want to go is less than 15 minutes from downtown. Little Rock has a thriving barbecue scene, not surprising since Arkansas is situated between the BBQ meccas of Texas, Memphis, and Missouri. You’ll get a mix of all three styles here, with sauces and sides nodding to regional influences. For pizza, salads, sandwiches, and great people watching in both Hillcrest and The Heights, a good choice is the U.S. Pizza Company. They have a location in each area, both with outside patios. We really enjoyed the Hillcrest location right on Kavanaugh Boulevard – casual and fun! For some great house made beers, stop at Vino’s Brewpub on 7th Street at the edge of downtown. Vino’s serves food for the mostly younger crowd that piles in with their growlers for beer to go, but the beer is the star. There’s a rotating selection of taps here at Little Rock’s original brewpub. Try their Cream Ale for something tasty and quaffable! Little Rock is such a cool little city, we can’t say enough good things about it! We found that a three night stay was just enough, although if we do it again, we’d probably spend a night kicking back in Hot Springs instead of rushing through it on a day trip. 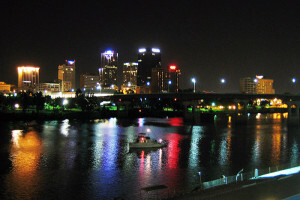 Enjoy Yourself In Beautiful Little Rock! There is, of course, much more to Little Rock than what we’ve mentioned here. Other day trip opportunities abound, and there are many more areas of the city where you’ll find ample dining, shopping, and entertainment options. The Legacy Hotel – Highly Recommended! Thankfully, the Little Rock Visitors Bureau does a great job showcasing the city. We spent a lot of time on the site before we visited, and then dug a little deeper into specific attraction, neighborhood, and restaurant web sites. 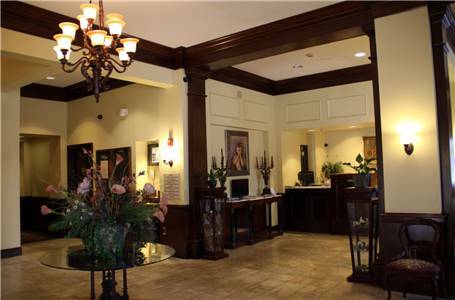 And our very comfortable and accommodating hotel, the historic Legacy Hotel downtown, was a wonderful place to stay! Clean, comfortable, and reasonably priced, we’d recommend it to anyone. In summary, if you’re traveling anywhere near Arkansas, plan to spend at least a night or two in Little Rock. You might not see everything (we sure didn’t! ), but what you’ll experience is sure to be enjoyable!